2016 has been an enjoyable ride in the beauty department. Discovering new products that instantly become a new favourite is a lot of fun. Having to narrow down the best of the best for 2016, on the other hand, is never easy. But I managed to come up with a list of my 2016 favourites in each category. 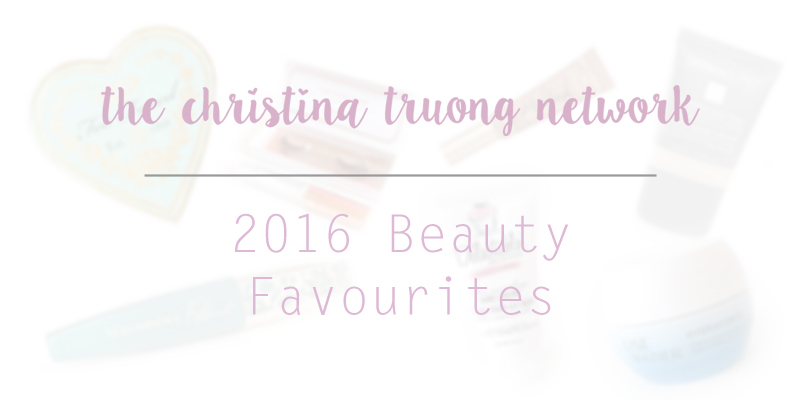 Leave a comment below: What were some of your 2016 beauty favourites? What are you looking forward to in 2017? Is there a product that you consider to be a lifetime favourite? I practically told everyone I know about Dermablend once I discovered their products. Full coverage and all day wear. I've been wearing this foundation everyday and unfortunately haven't touched any other foundations in my drawer since. Little late on joining this bandwagon, but when I finally tried the Sweethearts Bronzer earlier this year, I knew why it's a favourite for most. It provided a luminous glow that still looks natural and compliments my skin tone - perfect for everyday wear. I absolutely loved the Born This Way Concealer. The product goes on refreshingly smooth with its coconut water, alpine rose, and hyaluronic acid. With short lashes, I love nothing better than a good mascara that make my lashes long, on top of being smudge-free, no clumps and flakes. The L'Oreal Paris Voluminous Feline Mascara does just that. My lashes look naturally longer and I love it! P.S., I stocked up! When it comes to falsies, I usually just wear them during special occasions. Earlier this year, I started wearing them almost daily. Nothing too dramatic, just something to oomph up the eyes. Then, enter Esqido. Their lashes not only look natural but feel natural too. And their lash glue is probably the best last glue I have ever used! The endless colours in this NYX Drop Palette is incredible. I normally don't opt for colours beyond neutrals when it comes to eyeshadow but I've been playing around with some of the shades provided in this palette. Not only that but it's a great palette to travel with as it also comes with blush, Illuminator and bronzer. 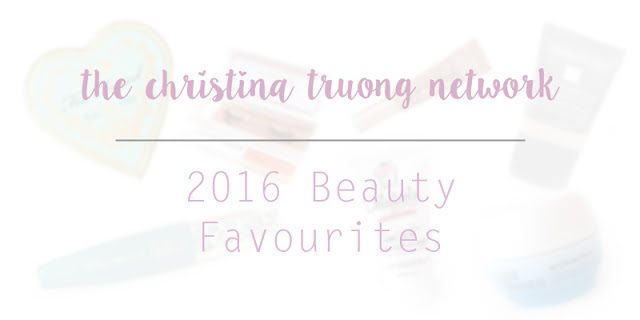 I have discovered a lot of lipsticks and their shades this year so choosing one to be my 2016 favourite was tough. But the one I absolutely love is the Too Faced Melted Chocolate in Chocolate Honey. Besides the fact that it smells like chocolate, the shade works well with my skin tone and it goes on so smoothly and leaves my lips hydrated. I've said it plenty of times and I will say it once more, chapped lips are never fun. I already have a forever favourite lip balm but the Vichy Replumping Lip Balm, which I have discovered this year, comes a very close second. Super moisturizing and doesn't provide a greasy, sticky feeling on the lips. The Simple make-up remover wipes completely removes all my makeup at the end of the day, which is why it's a favourite of mine. The wipes are super soft, completely scentless, and removes all makeup. Perfect for travel as I didn't have to carry multiple products to remove my makeup. The lack of hydration on the skin can really play a toll. Thankfully for Lise Watier HydraForce, my skin went from dull to fully hydrated and moisturized. The Cake Beauty hand cream will probably be a part of my forever favourites. I loved the smell of their Coconut & Cream and it truly left my hands soft and moisturized throughout the year. Asterisk (*) denotes product featured in blog post - not a product review blog post.